Changing the lighting conditions in your home with blackout blinds can go a long way to taking control of your sleeping routine, as I discovered a few years ago. In today's 24 hour society more and more people are finding themselves forced to take on untraditional sleeping patterns. 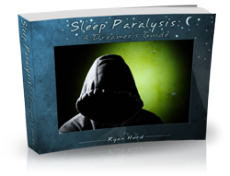 Some people slip into these patterns easily, others really struggle, but anyone sleeping at unconventional times should be more careful than most to ensure that they are getting the right kind of sleep to keep themselves refreshed and healthy. This article will look at some of the problems associated with sleeping at unconventional times and suggest how you can use blinds and other methods of lighting control to help those who can't sleep when everyone else does stay refreshed. A few years ago I spent 6 months working in a job where I had to be up all night. When I was 18 and coming towards the end of my time in secondary school, I knew I wanted to go onto earn a degree but I wasn't sure I was ready to start University that soon. After some thought I realised I wanted to take a year out of education to go and volunteer with a charity I supported in Asia. Sounds like a great idea, right? Well yes accept, like most 18 year olds I certainly did not have enough money in the bank to just disappear to the other side of the world and support myself for the next 12 months. With only about 6 months left until I finished secondary school I needed to earn money and fast. The only job I could find that seemed likely to provide enough income for my planned adventure was night club bar tending, so I took it, and that's what I did with my next thirty weekends. 11 hour shifts at my cities only all night drinking emporium. Sometimes it was fun, but always it was exhausting. I'd get back home at 6AM or later and fall (sometime literally) onto the living room sofa and, as everyone else was getting up, I'd pass out there for the next 8 hours. Some people really struggle to sleep at all in the day time, I used to think I was one of the lucky ones, I knew of people who did the same job as me and complained that despite how utterly exhausted they were when they got home they just could not fall asleep during the day time; they would have to go almost the entire weekend with no sleep, something that when done regularly, many of you will know, is painful. I however was not having this problem, I got my 8 hours sleep and felt fine... well at first. After the first few weeks of doing this, I started to find it increasingly hard to wake up. I was still getting to bed (or sofa) at around 6AM but then sleeping more and more until eventually I struggled to wake up in time to start work at 8pm that evening. I was getting 15 hours of sleep but would get to work and feel as awful as my sleep deprived friends who'd not slept at all. I couldn't understand it, 15 hours was far more sleep than I normally got, so why did I feel so tired? How refreshed you feel at the end of night's sleep is controlled by more than just how long you are asleep for. It is important to make sure you are getting not only enough sleep but also the right kind of sleep. To be properly refreshed your body and mind have to have had a significant amount of REM sleep. The amount of REM sleep one has is extremely dependent on one's circadian rhythm (i.e. the time of the day), and one's circadian rhythm is heavily influenced by the hormone melatonin. This hormone can only be produced with the presence of the appropriate enzymes. 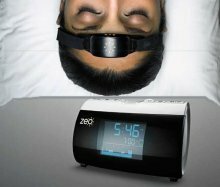 To ensure that you do not sleep at the wrong times the pineal gland in the brain will breakdown this enzyme when it detects certain environmental conditions known as zeitgebers. Humans are biologically programmed to be awake during the day so the zeitgebers the brain is looking for are those associated with day time. There are a great many of these zeitgebers but the two thought to be the most significant are temperature and light. The body will generally only allow melatonin to be produced when it detects a drop in temperature and an absence of the blue light that comes from the day time sky. If this does not happen, far smaller quantities of melatonin will be produced and very little deep REM sleep will be achieved if any. So after my weekend nightclub work shifts, crashed out on the living room sofa with day light streaming in the window my body would not have been getting the signals it needed to allow melatonin to be produced and I would not have been achieving the amount of REM sleep I needed to go to work the next day refreshed and ready for another night of hard work. To force my body to sleep properly at such an unconventional hour I needed to find ways to artificially create the zeitgebers that would tell my body that it is time to sleep. If you are facing similar problems these suggestions might also be able to help you. Firstly it was time to move off the sofa and into my bedroom, an environment my body already associates with sleeping. Next I needed to remove all the sources of blue light, the biggest one was of course the window. Most curtains are more about providing privacy than keeping light out, and therefore just closing the curtains wasn't enough. I had to change my window dressing to something more effective. I decided that I needed a blackout blind that would properly cover the space; this would both cut out all the light and go some way to reducing the temperature of the room too. The way I did this was with one of the Made to Measure Blinds you see advertised, but thick curtains or shutters would have worked too. As well as covering the window it was also important to turn off any screens and LED stand by lights that were producing blue light. These adjustments helped me refresh my body by getting the right kind of sleep, to make sure I was then properly awake and alert for work the next night I had to also put some thought into my waking up routine. If I had allowed myself to sleep as late as I possibly could I would be waking up after it had already got dark. This means my pineal gland would not then receive enough blue light to tell it to kill the enzyme that is being used to produce the melatonin keeping me drowsy, instead I needed to make sure I was awake in time to spend some time in the sun before starting work. Working night shifts was still hard but by understanding why it was that I felt sleepy and looking for ways to change this I was able to take control of m sleeping patterns. I started going to work feeling far more refreshed, which helped me work more euphuistically which lead to an increase in the tips I made. I was able to keep working nights until the end of the school year, by which time I'd made plenty of money to have the adventure in Asia I wanted and even money left over that helped with University the following year. For me it was a happy ending; I hope these tips can help others suffering from night shifts find a way to improve their sleep too.